We are pleased to announce that Biology Letters is the latest journal to integrate submission of manuscripts with data to Dryad. In this process, the journal and repository communicate behind the scenes in order to streamline data submission for authors and ensure that the article contains a permanent link to the data. To allow others to verify and build on the work published in Royal Society journals it is a condition of publication that authors make available the data and research materials supporting the results in the article. Datasets should be deposited in an appropriate, recognized repository and the associated accession number, link or DOI to the datasets must be included in the methods section of the article. 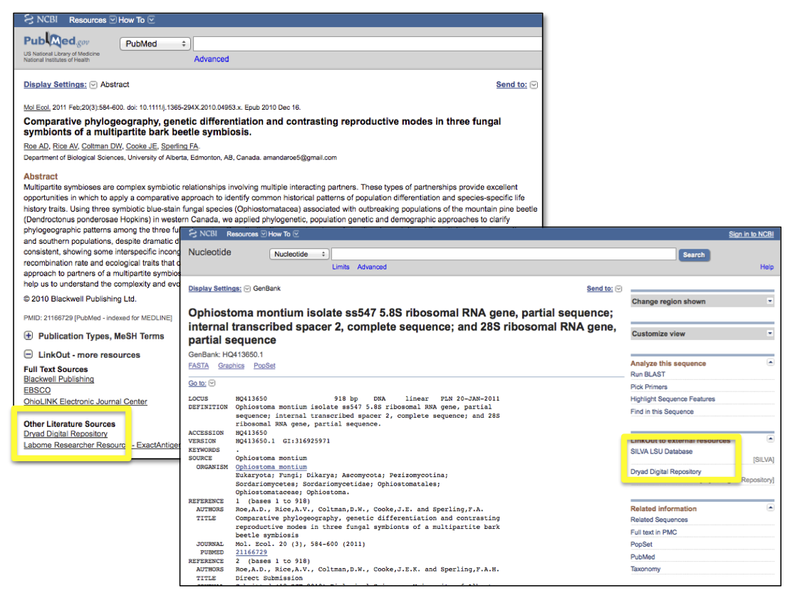 Reference(s) to datasets should also be included in the reference list of the article with DOIs (where available). Where no discipline-specific data repository exists authors should deposit their datasets in a general repository such as Dryad.